2012 Topps Baseball Series 1 Hobby Box (36 Packs/10 Card Per Pack) Factory Seal. 2012 Panini Prizm Baseball Hobby Box - Factory Sealed! 1 product rating - 2012 Panini Prizm Baseball Hobby Box - Factory Sealed! Trending at $41.95Trending price is based on prices over last 90 days. 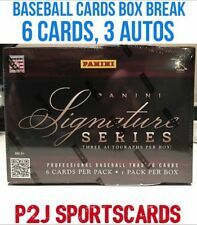 NEW YORK YANKEES 2012 Signature Series BASEBALL Hobby 1BOX Break YOGI BERRA? 2012 Topps Update Series Baseball Hobby Box from Sealed Case RC Harper and More! SEATTLE MARINERS 2012 Signature Series BASEBALL Hobby 1BOX Break GRIFFEY? This page was last updated: 26-Apr 01:44. Number of bids and bid amounts may be slightly out of date. See each listing for international shipping options and costs.